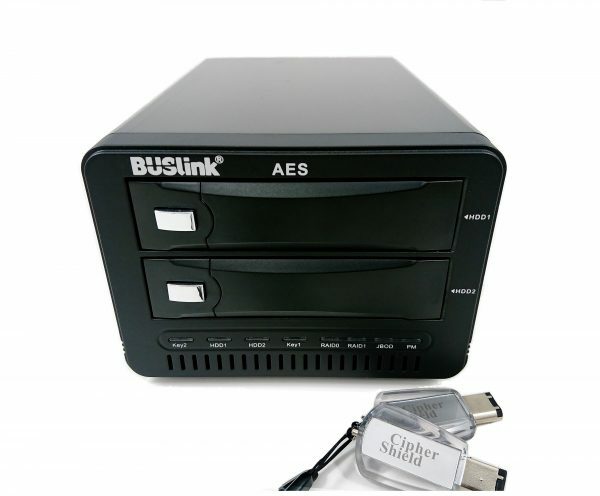 This BUSlink 2-Bay RAID hard drive supports large capacity and USB 3.0/eSATA interface. 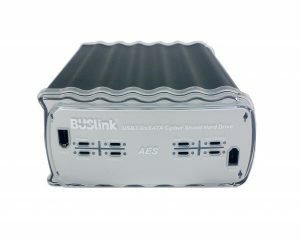 It supports RAID 0 or RAID 1 depending on the model ordered. RAID 0 (striping) is faster and provides the full capacity (ie. 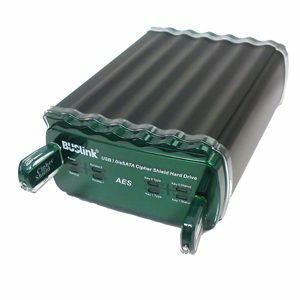 2TB x 2 = 4TB) but no backup. RAID 1 (mirroring) is slower and provides half the capacity (ie. 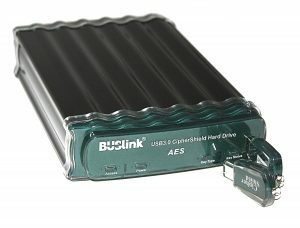 2TB x 2 = 2TB; 1 drive is used for backup). 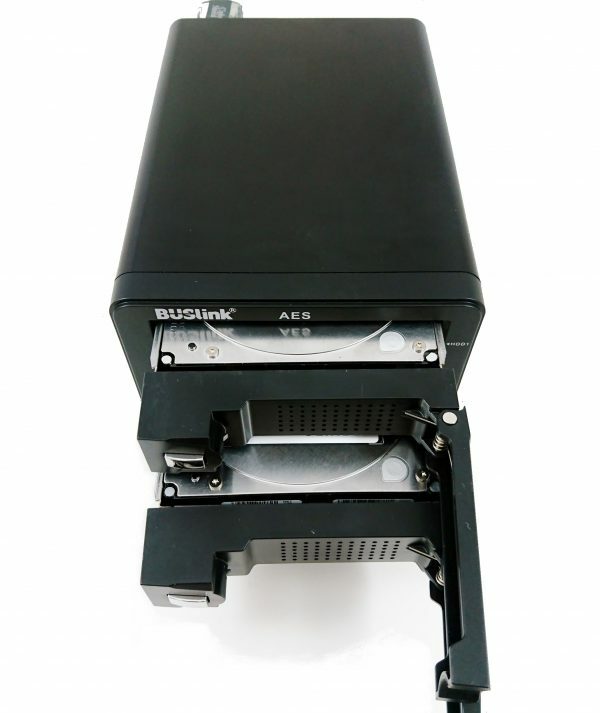 Removable HDD trays support hot-plug replacement of drives (only for RAID with redundancy mode). HDD intelligent sleep function is supported. 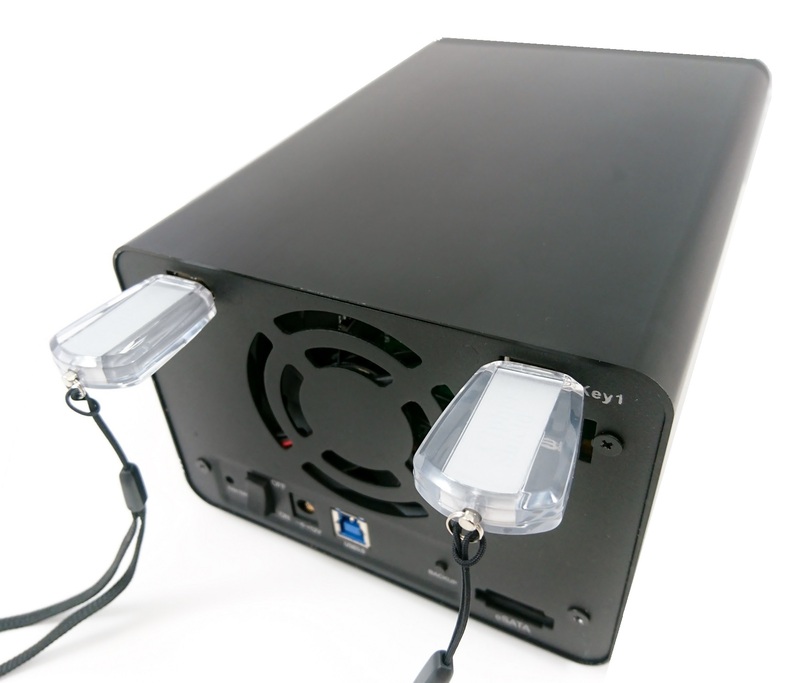 Cooling fan maintain safe operating temperature. 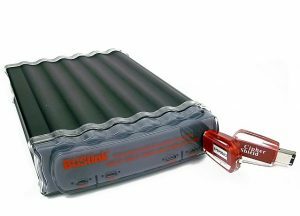 Skid proof and shockproof rubber feet mat ensure safe operation. CipherShield Dual Keys Encrypted design safeguards and protects classified information when they are too important to be left in the hand of one individual. 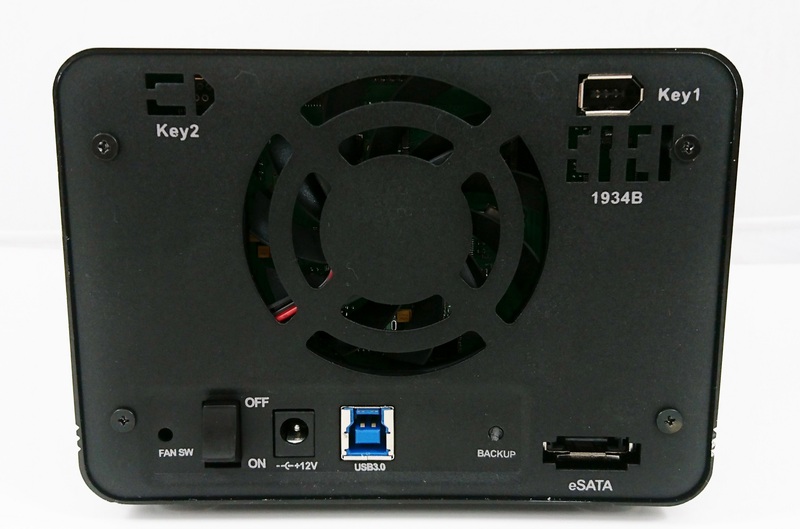 To gain access to the drive, authentication will be based on two unique Cipher Keys. It requires both keys to be plugged in all the time while working with the drive. It is like getting a safe deposit box that takes two keys to open. It is suitable for group setting where more than one individual are working on highly confidential projects. i.e. blueprints for company’s next new products, top secret programs, highly confidential legal cases, sensitive customer records and financial information.